Even though there are many myths and misconceptions regarding bats, youdon't want one taking up residence in an attic. 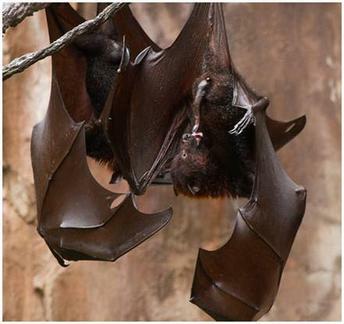 While they do have benefits - one bat can devour up to 3,000 insects in a night. IF you do have a bat infestation, Custom Pest Solutions can help. It can be disconcertinf if you find a single bat in a room, it may only mean that a bat has lost its way and ended up accidentally in your house. If you have more than one or two bats entering your home within a season, you may have bats living in your roof, eaves, or attic. If the bats become a nuisance, the only long term solution is to have someone like Custom Pest Solutions do a bat exclusion. A bat exclusion is a non-lethal way of evicting bats from a building without harming them. Other "bat facts" of interest: Bats are not blind. They have the same five senses we do, smelling, hearing, tasting, seeing and feeling. Bats do not attack people and they won't get tangled in your hair. Bats are actually quite timid and basically ignore humans. Bats are not flying rodents. The most common misconception that people have is that all bats are rabid. This is not true. If anyone was bitten by the bat, or possibly transferred saliva from the bat to an open wound, their eyes, mouth, or nose, they need to seek medical attention immediately. In that case the bat will need to be saved so it can be tested to see if it has rabies.